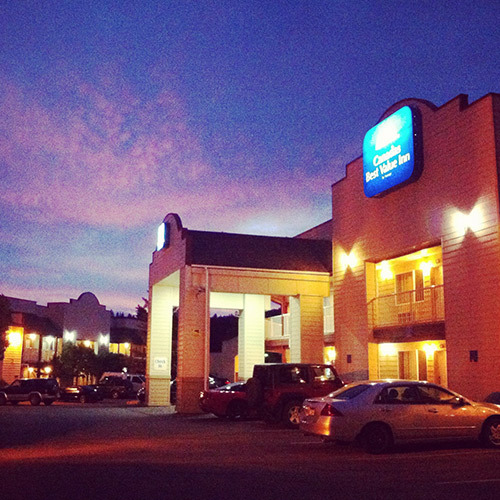 Just off the highway and within walking distance of restaurants and downtown, guest rooms here have a pleasant décor. Some are larger suites featuring a separate bedroom or jetted tubs. Smoke free premises. 45 units, some kitchens. 2 stories (no elevator), exterior corridors. Accessibility (Call). Hwy 3, just n on Vermilion Ave. 169 Hwy 3 V0X 1W0 (PO Box 1555).